Choosing the right jacketing material is key to creating a tougher custom cable assembly. Jacketing material is one of the many features of a custom cable that you should talk about with your cable assembly manufacturer. As the first line of defense against a variety of conditions — including heat, moisture, and chemicals — your choice of jacketing material can make the difference between a durable custom cable and one that fails long before it should. Ensure your finished cable is exactly what you need by covering three main points with your cable assembly manufacturer. 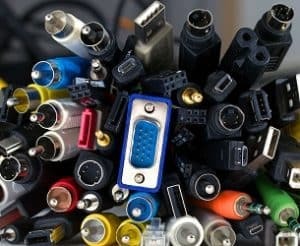 What is your cable connecting? Do the parts need to move around or are they generally stationary? Does the cable need to stretch? Does it need to resist tears and abrasions? 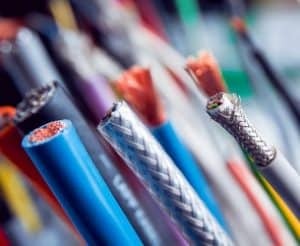 These are just a few of the questions that may come up when discussing a cable’s physical requirements with your cable assembly manufacturer. 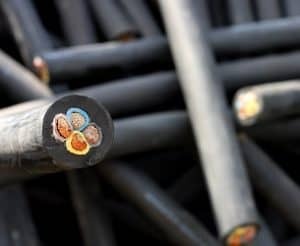 Once they have the answers, they can weigh the positive and negative characteristics of different jacketing materials to select one that is most appropriate for your cable’s specifications. 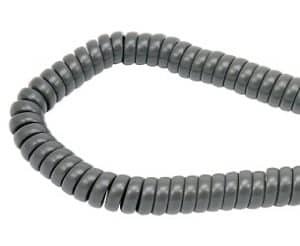 For example, a polyurethane jacketing has good elastic memory which makes it a solid choice for coil cords and cables that require more flexibility. However, it’s not a good choice if the cable needs to be processed easily. Beyond the basic physical requirements, a cable also needs to be able to function under a certain set of environmental conditions. These environmental requirements can include resistance to heat, flame, chemicals, and water or even stability over a range of temperatures. There are enough jacketing options available that really fine tuning your cable to the specific conditions of your installation environment is possible in most cases. We can even add a jacketing made of polyvinyl chloride (PVC) that can be made resistant to UV rays or almost as flexibile as a thermoplastic polyestomer. While the look of a cable may not change its electrical or mechanical performance, the appearance is often more than simple cosmetics. 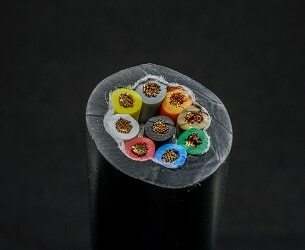 Even something as simple as jacketing in a specific color can enhance the safety of the finished product because it helps better differentiate the finished product from other cables. A jacketing can also be designed to match the equipment manufacturer’s overall design aesthetic, which can help users keep the right cable with the right equipment. Finishes can be matte or glossy, depending on your needs. In some cases, a matte finish can make the cable easier to grip, which can be useful for installation and handling in certain conditions. For medical equipment, there are also requirements for cables that may come into contact with skin that include cleaning, disinfection, and sterilization that may dictate the properties of the jacketing. Jacketing material is one of the many features a cable assembly manufacturer is able to customize to meet your specific needs. With all the options available, it’s important to have an in-depth discussion with an experienced design team to make sure they have all the information they need to select the right materials for your cable. Contact Meridian Cable when you’re ready to get started on a custom cable. Our team looks forward to answering your questions. 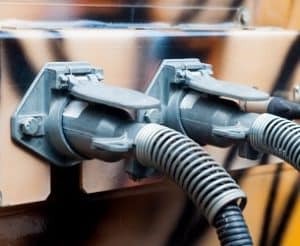 Understanding the basics of custom cable assemblies can help you find the perfect solution for your product or equipment. Custom cable assemblies are all around us, bringing sound, information, and even light into our homes and businesses. When they are working, we don’t spend much time thinking about them. Even when they fail, unless you are an electrical engineer, you may not fully understand how or why they differ from traditional cables. This isn’t a big deal for the layperson, but if you are responsible for replacing a cable assembly for a piece of equipment, a little information about the basics can smooth the process when working with a wire and cable manufacturer. 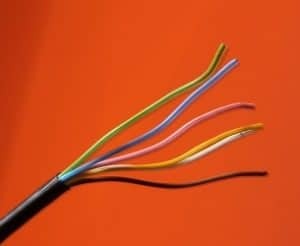 Wires, cables, and cable assemblies have similar basic purposes, but they aren’t quite the same. 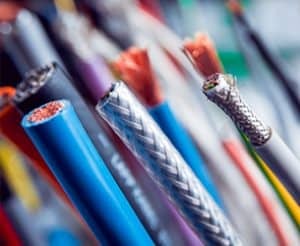 When talking to a wire and cable manufacturer, using the right terminology can prevent any miscommunications during the consultation and design process. Wire – A wire is made up of a single conductor that can be solid or stranded and is insulated with a non-conductive material. 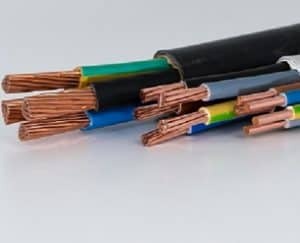 While wires with solid cores tend to be inexpensive and produce the best connections, they can be difficult to work with in some situations due to their inflexibility. A stranded core is more flexible, but is more costly to produce and does not have the same carrying capability as a solid core wire of the same gauge. Cable – A cable is two or more wires that have been bonded or braided together. 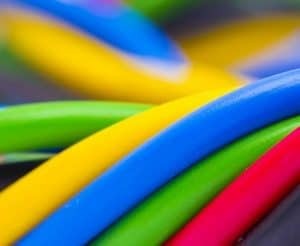 Unlike wires, cables tend to be insulated, which means they are more protected than standard wires. This extra protection often makes them more heavy duty than a standard wire. Cable Assembly – A cable assembly is a group of wires or cables that are bound together and covered by a durable exterior product. They are often made from materials like shrink-wrapped thermoplastic, thermoplastic rubber, or vinyl and come in many shapes and sizes. An experienced cable manufacturer like Meridian Cable is able to offer you a vast range of customization options for custom cable assemblies. Since all of our products are made to order, we are able to design and extrude a cable assembly that is customized to the needs of your equipment and environment. Get in touch to learn more or find out how we can help you design and produce custom cable assemblies that are safe, effective, and durable.